We all know that, right? For example, the paranoid brain fabricates menacing scenarios that petrify and isolate. The depressed brain suppresses joy and deflates hope. The dementia-clouded brain suggests life should be lived in the distant past, not the present moment. So yeah, diseased brains are deceitful; but they aren't the only ones. At times, healthy brains mislead too. They can’t help it. It’s all a part of the natural growth process. Harvard neurologist and parent Frances Jensen began studying the adolescent brain when her two sons were teenagers. She explains, “Nature made the brains of children and adolescents excitable. Their brain chemistry is tuned to be responsive to everything in their environment. After all, that's what makes kids learn so easily.”  So it’s normal. Scary, but normal. 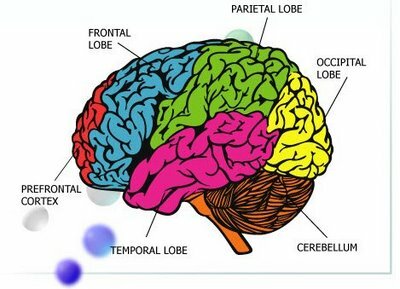 See the brain is not fully developed until we are in our mid to late 20’s. And the part of the brain that recognizes risk, the frontal lobe, is the last to grow up. That’s why we do such stupid things in high school and college. Because our brains are literally too immature to know any better. If we're lucky, by the time we are in our 30’s, we look back on our ideas and impulses of previous decades and cringe. We're embarrassed, maybe even humiliated. We wish we could go back in time and tell our teenaged selves that risk is real and warnings are for a reason. But, you know what? Our adolescent selves wouldn’t pay any attention to our overly-cautious, bossy, controlling adult selves. That’s because teenaged brains are too busy misconstruing reality. So parents, let’s stop the blaming and name-calling and understand that when our teenagers are acting irresponsibly, it’s because their brains are just doing what comes naturally. And teenagers: you can't always trust your brains. You really can’t. So do this. In potentially dangerous situations, defer to someone whose frontal lobe is fully developed. Occasionally you might miss something fun. But at least you’ll live to complain about it. "The Teen Brain: Still Under Construction." NIMH RSS. The National Institute of Mental Health, n.d. Web. 12 June 2013. <http://www.nimh.nih.gov/health/publications/the-teen-brain-still-under-construction/index.shtml>. Knox, Richard. "The Teen Brain: It's Just Not Grown Up Yet." NPR. NPR, n.d. Web. 12 June 2013. <http://www.npr.org/templates/story/story.php?storyId=124119468>. Spinks, Sarah. "Adolescent Brains Are Works in Process." PBS. PBS, n.d. Web. 12 June 2013. <http://www.pbs.org/wgbh/pages/frontline/shows/teenbrain/work/adolescent.html>.